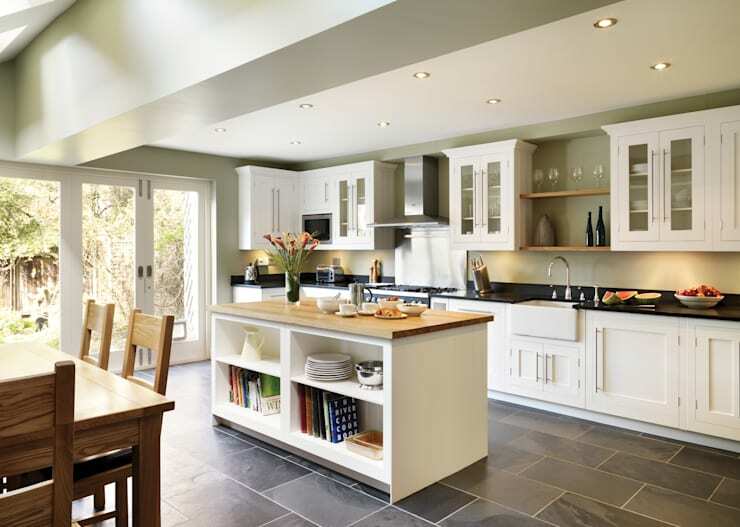 The kitchen is the centre of the home, especially if you consider yourself an amateur chef that enjoys catching up on the latest creative exploits of Ramsey and the like. With that in mind, we are taking a look at 12 practical and functional kitchen necessities to make storage easier and cooking more efficient. 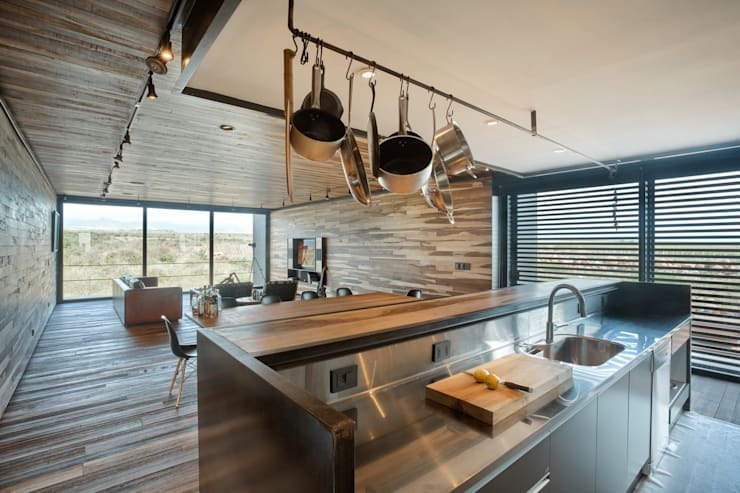 These kitchen items will make your home instantly more attractive, cosy and friendly—so let's take a look at the fantastic modern kitchen ideas and options that are available! 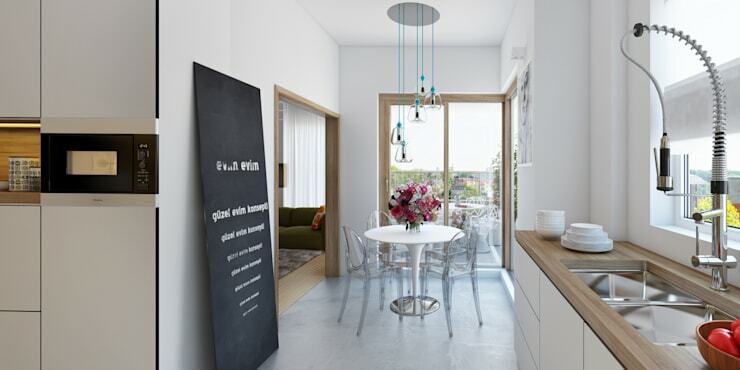 If your kitchen counter area is limited, you may want to consider then extendable workspace for your kitchen. It looks like just another drawer when closed, but it’s a great feature to consider. 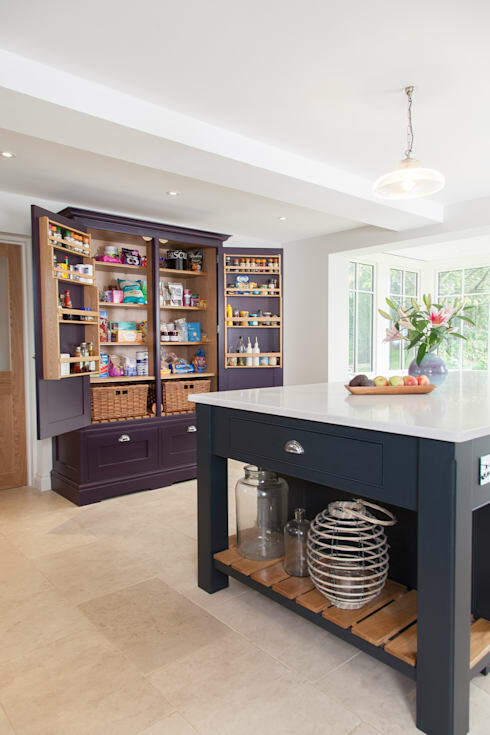 A kitchen island is a great way to add some extra storage and usable workspace into your kitchen. It’s practical and elegant, especially in a spacious kitchen. An industrial kitchen, or a kitchen with a somewhat rustic ambiance, would not be complete without the addition of some hanging storage for your pots and pans. 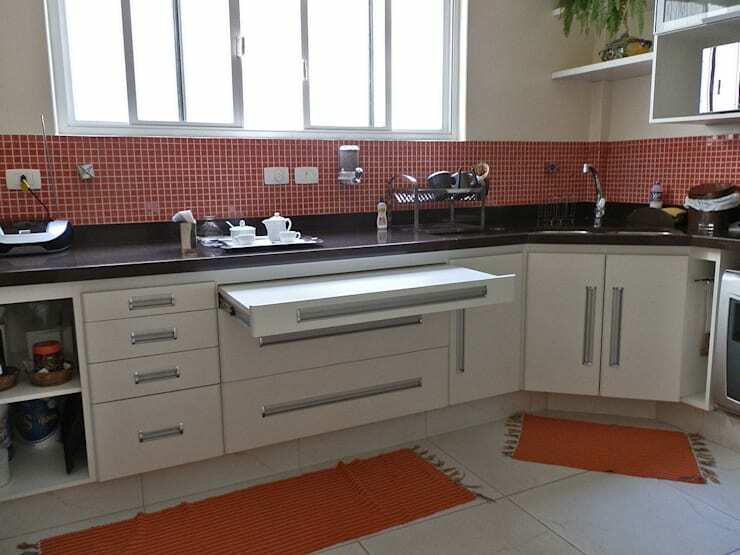 It’s an authentic effect for a simple kitchen with limited space. 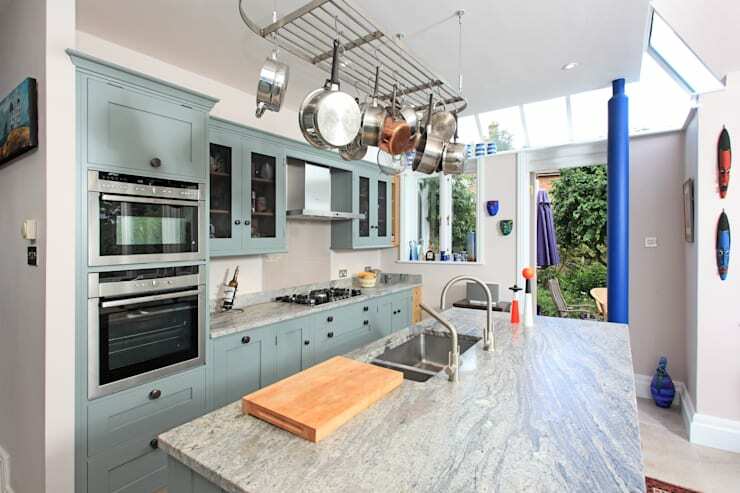 Here’s another look at a professionally inspired kitchen, with hanging storage for those pans and pots. 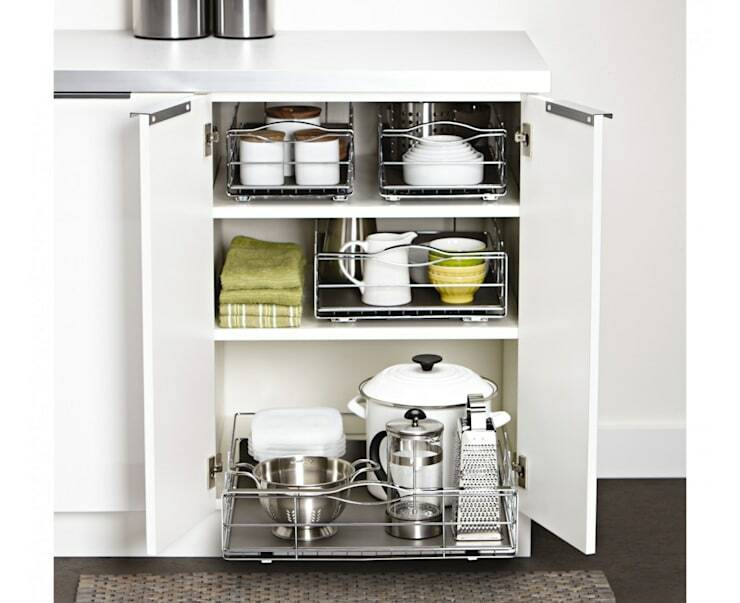 Further to our previous points, it’s also a great idea to free up some cabinet space. These drawer-like shelves are great for storing items usually found in those hard to reach places. 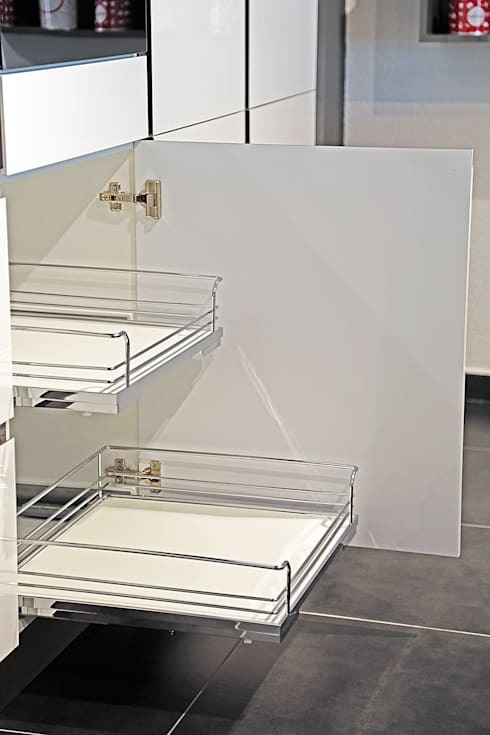 In this case you can simply pull out the drawer and access the items, and with the steel basket front, you won’t have to worry about them falling onto the floor. These three baskets in separate rows are a great addition to a modern kitchen. 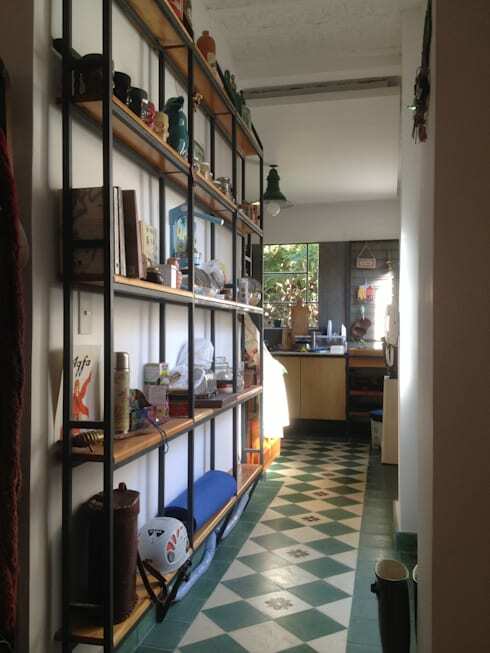 They allow appliances, pots and pans to be stored in a simple and efficient manner, keeping clutter well out of the way. An underutilised blank wall in the home can become a stylish shelving option for your kitchen. 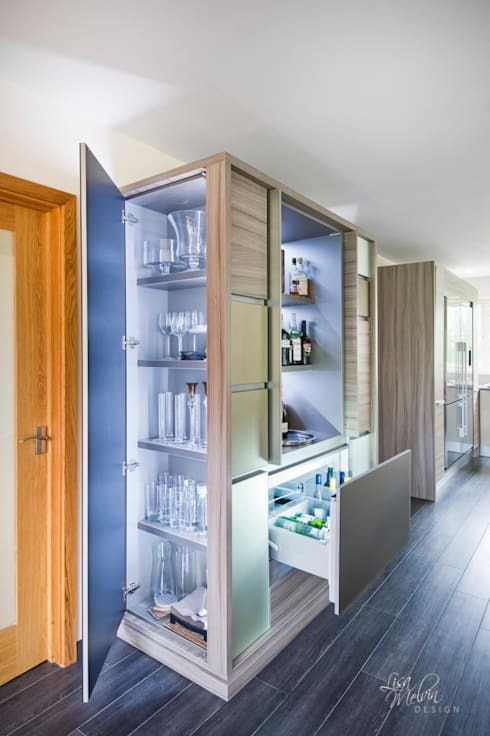 Interior designers often opt for this style of storage, making use of a narrow corridor, or perhaps the pantry. It’s amazing how brilliant illumination can have a gorgeous effect on a kitchen, opt for some LED strips to highlight the crystal or your tumblers and glasses, for example. Cabinet doors are an awesome way to get hide the small shelves filled with herbs and spices, or even utensils. 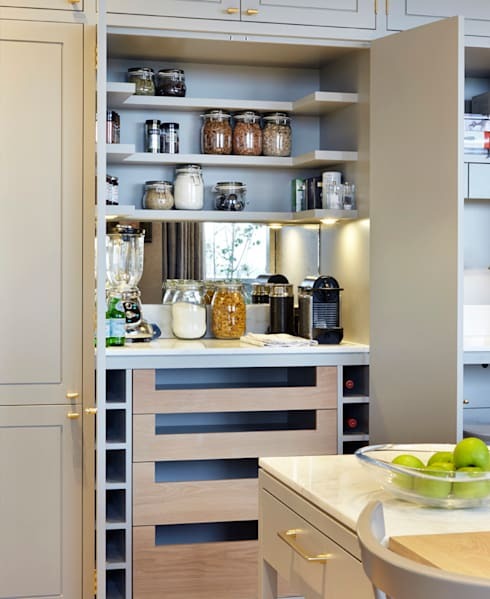 One way to keep your kitchen looking sharp is to hide all your clutter in one cabinet. So opt for cabinet doors such as these, they look stylish and keep your countertops clear and tidy. A spiral hand tap is great way to make your kitchen look professional, while making washing up a lot easier. 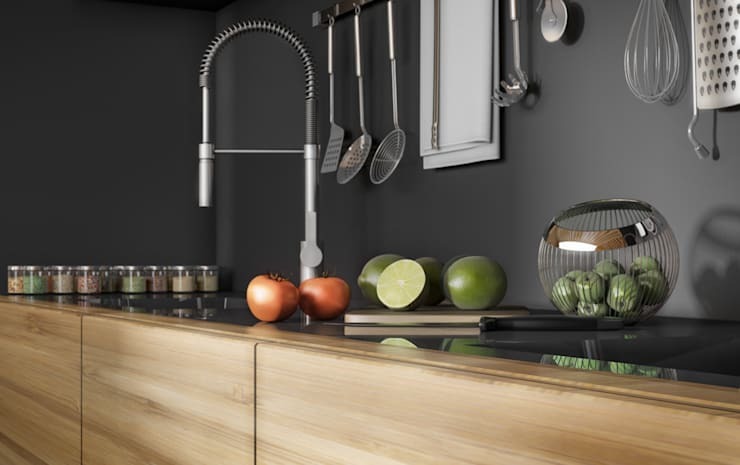 Replace your old faucet for this fancy one, a perfect fit for a minimalist kitchen. A blackboard can add that sense of fantasy and charm to a boring kitchen décor. Think of it as a way to keep track of that shopping list or meeting reminders. It's also an excellent idea to keep the kids occupied. If you thought these kitchen ideas were helpful, here are: 27 smart and low-cost ideas for your small kitchen. Which kitchen necessities are you considering?